In order to demonstrate possibilities of Blynk Platform for Business we just released Blynk myPlant app Android, iOS. This app demonstrates basic customization features + provisioning process. Provisioning is a process of passing of authentification token from mobile app to hardware (ESP, NodeMCU, Blynk Board) so you can connect any device with Blynk Firmware to your own mobile app. Soon everybody will be able to try publishing platform by themselves. What I like about this is the overall friendlyness of the UX. Looks great! @vshymanskyy can we make it work with Wemos? @Dmitriy as the WeMos will run as a NodeMCU I’m not sure why it is failing at the CONNECTING_NET point. I will see if there is anything obvious in the sketch that I can change. Would be cool. Unfortunately I don’t know the answer. Hope @vshymanskyy have time to help. WeMos now connected. I was being a numpty. It will be nice to have option of auto mode that plant will get water according to its need. I have given 5*rating on google play. @Costas what was the problem? Did you like provisioning flow? What’s new in this update?? Provisioning flow looks very good and actually I was jumping the gun on what I was expecting to enter. I was wrongly setting the home network as the “Blynk myPlant” AP etc. I’m sure if I didn’t know anything about ESP’s I would have read the on screen prompts and entered the correct details. Is there any reason why it is not sending out emails? 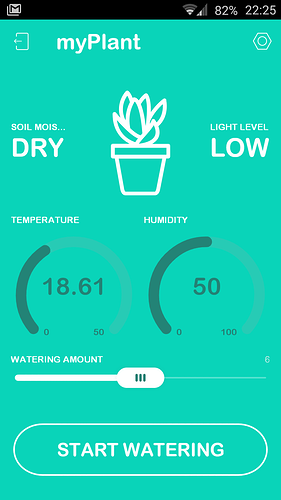 I entered a valid Gmail address when I created the account and I can see Blynk.email(“myPlant notification”, “Your plant is thirsty!”); in the sketch. New update is available for myPlantWhat’s new in this update?? we removed some Blynk permissions that were not necessary for demo. @Costas thank you for feedback. @Pavel FYI. Is there any reason why it is not sending out emails? Yeap. There is not mail widget =))). We not fixed that yet for published app. Really nice APP, in a few minutes everything is running as expected. 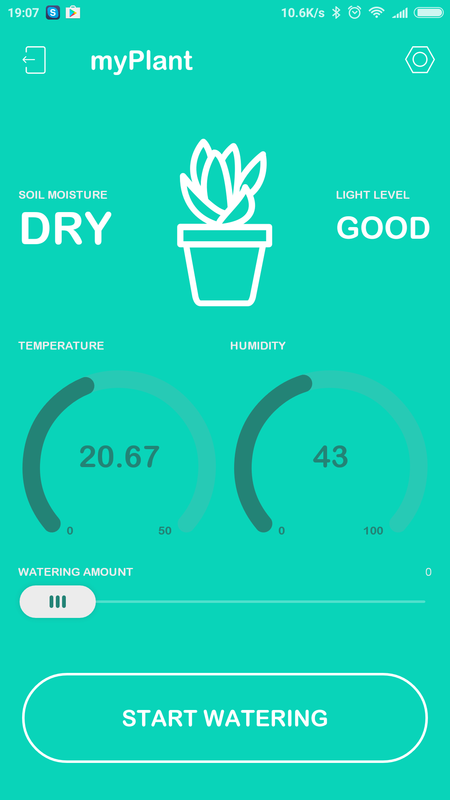 The interface is correct, in this case, I would add a Tab to enter all details about the Plant (different plants require different conditions), this way the user could fix the values directly using the APP according his/her knowledge. Why not on the iOS also? Do you plan to make one for iOS too? The idea is great! GREAT JOB! Yeap. Will be released soon. Any news? Do you have an estimated time when the iOS version will be released? Do you have an estimated time when the iOS version will be released? 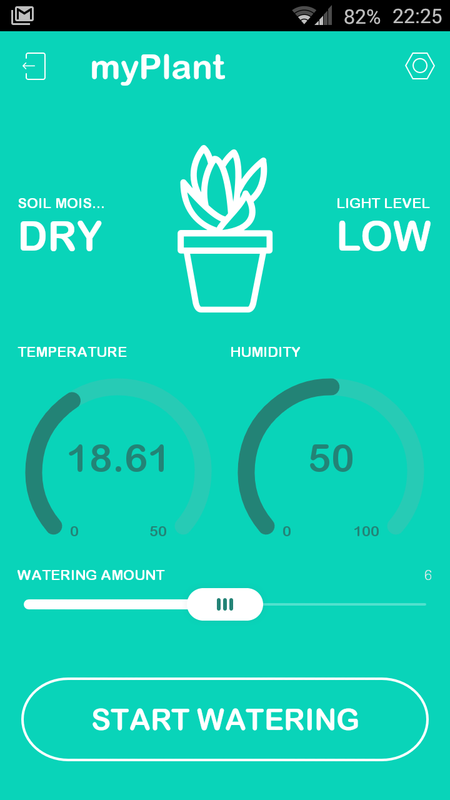 Any news regarding blynk-myplant-demo-app for iOS? @iulianh hello. Not yet. iOS is behind Android for 2 months. Also we are focusing right now new feature. So demo app for iOS is not in plans right now. Sorry.